Onto its ninth generation, Mitsubishi has sold over six million Lancers worldwide, proving to be one of its most successful products ever. Onto its ninth generation, Mitsubishi has sold over six million Lancers worldwide, proving to be one of its most successful products ever. Not here though, where the limited availability (a single petrol engine and body style until relatively recently) means it remains a rare sight on our roads. Still, find a good one and you’ll get a spacious, value for money and hard-working family car for much less than its competitors. 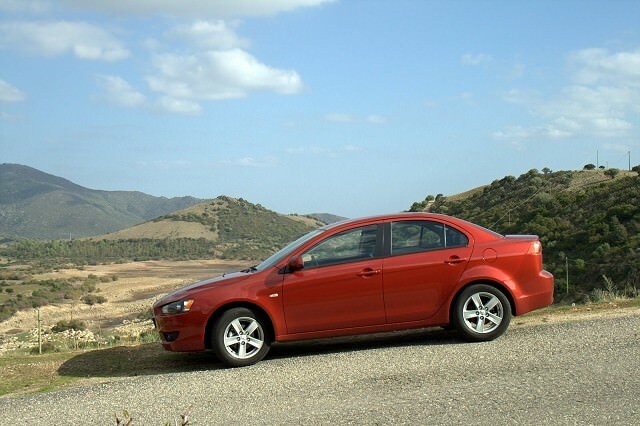 Worldwide the Lancer was available as both a saloon and Sportback (hatchback) model, but until 2009 we only got the former. And when the hatchback was introduced in 2010, only 15 were sold - so finding one on the used market will be a tough task. And though it has a large boot with the rear seats folded (1,349 litres) with the bench in place its actually less capacious than the saloon and its 400-litre load area. Initially only one engine was offered, the 1.5-litre petrol unit with 110hp. It’s merely adequate, and the 1.8-litre diesel that arrived in 2011 with 150hp is a much better choice, though again rare on the used market. Both a five-speed manual and four-speed automatic were available, and most cars come in Intense trim - only the latest models badged otherwise. Still, it looks pretty good - especially the saloon, which sired the current Evolution X, and though it’s not quite as aggressive there are some Ralliart additions for the standard car to make it look more purposeful. It’s not hard to choose a Lancer, as options are limited. So look for the lowest mileage 1.5-litre saloon you can find - day-to-day it’s just as practical as the hatchback and far more common. Most came well equipped, so air conditioning, Bluetooth and alloy wheels often feature. But with around 1,500 sold since its introduction in 2007, be prepared to hunt hard for the right one. Simple but nonetheless competent and capable: a phrase that sums up the Mitsubishi Lancer and its ownership process perfectly. It’s not as good to drive as a Ford Focus, and the limited range on offer will put many off, but scratch beneath the surface and you’ll find a car more than deserving of any family car buyer’s attentions.